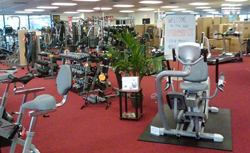 Work-Out Equipment: Commercial & Home Gym Exercise Equipment | Fit Equipment Etc. We offer a huge variety of commercial products as well. 7 of the last 8 years! Sit-down bike for the price. We've compiled Runner's World Reviews to help you find the treadmill that's right for you. Let our equipment specialiststs review your problem and provide an estimate to fix it.